The South West Coast Path has been voted the Best British walking route by readers of Walk magazine for the second time in the row. Despite the severe weather that has particularly affected the South West in the past few months, the coastline has continued to be well-managed for walkers. Mark Owen, the National Trail Officer for the out West Coast Path says, ‘The storms have put enormous pressure on those that maintain the Coast Path on a day to day basis with the Highways Agencies and National Trust coastal rangers out in force trying to keep the Coast Path accessible wherever possible – and they’re doing a fantastic job. ‘Relatively few areas have had to close and where there are problems that can’t be solved immediately, due to a landslide or unstable cliffs, short diversions have been put in place to reroute walkers along an alternative public right of way. 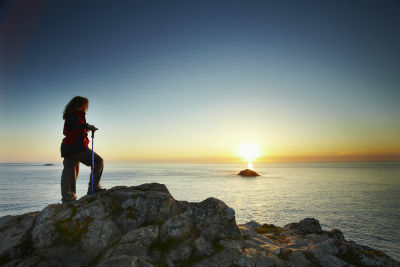 It has recently been announced that the Coast Path is worth £436m to the region’s tourism economy. For more information visit the South West Coast Path website.